The Anglo-Chinese Junior Choir has had a remarkable history of producing beautiful choral music since its inception in 1977. One would assume, therefore, that an Alumni Choir made up of continuing singers would also be impressive. This premise can be confirmed by hearing their most recent recording, Prayers and Poems. The Anglo-Chinese Junior College is a Methodist two-year college founded in Singapore in 1977. Made up of just under 2000 students, its College Choir has served an important role as ambassador for the school, winning international competitions in Sweden, Finland, the Netherlands, the Czech Republic, and Slovakia. The Alumni Choir is comprised of 37 singers who continue performing ambitious choral music after their time in the College Choir. Valarie Wilson, an alumnus of the Anglo-Chinese Junior College and King’s College London, directs the ensemble. In addition to its yearly concerts, competitions and tours, the Alumni Choir is also dedicated to commissioning and performing new music both by composers from Singapore as well as abroad. This new album features works by two contemporary composers, Eran Dinur and Kelly Tang. Dinur is an Israeli composer and visual effects artist based in New York. He has composed music for various instrumental and vocal ensembles including many theatre music compositions. Kelly Tang is a Singaporean composer whose orchestral works have been regularly performed by the Singapore Symphony Orchestra. While he is known more for his wind band and instrumental works, Tang has also composed music for several Singaporean choirs. All the works on the album have been composed within the last ten years. The album begins with two works by Eran Dinur which are Piyutim – Jewish liturgical poems chanted or recited during religious occasions. Adon Haselighot (God of Forgiveness) is a fascinating work exploring man’s petition for mercy. The work features a refrain in open harmonies with a melody of dotted rhythms in the minor mode that builds in intensity to a powerful climax. Brief solo exclamations highlight this spirited opener. It is contrasted by Adon Olam, a placid setting with ambiguous but not particularly dissonant harmonies, with many similarities to several Samuel Barber choral settings. Later is Tres Ciudades (Three Cities), a suite based on poems by Spanish poet Federico Garcia Lorca. The first, Malagueña, begins with the basses singing low, ominous half-step chants. This is answered by an intense melody sung by the tenors. This slowly climbing melody is mimicked by the altos and later sopranos. After a fierce flourish, the work ends in hushed tension. The second, Barrio de Córdoba is a soft and somber contrast, interrupting the homophonic statements with unexpected glissandos down to new chords. The last piece, Baile, includes a flashy melody with the percussive effects of an accompanying flamenco guitar. While the intonation and soloists are impressive, sufficient dramatic flair are lacking for these three pieces. The most compelling selection by Kelly Tang is Tread Softly, a setting of William Butler Yeats’s “He Wishes for the Cloths of Heaven.” It features a number of lush harmonic effects, and is sung beautifully by the Alumni Choir, particularly the solo soprano voices. This is followed by Nei’la, a prayer recited during Yom Kippur. The work begins with an intense solo voice in a Middle Eastern-inspired melody. This is answered and amplified by men’s voices until they reach an intense cacophony of descending chants and downward octave glissandos. After they recede, the treble voices join at first peacefully, but later vociferously plead for mercy in chants that sound like angry beehives. This unravels into repeated slower, uneasy statements about a future reckoning. The final two songs are by Kelly Tang. The Snow Man sets a poem by American poet Wallace Stevens. The existentialist text is depicted by harmonies which begin warmly, but slowly disperse into hushed dissonance as they conclude. This is followed by Tang’s setting of the Pater Noster in English. 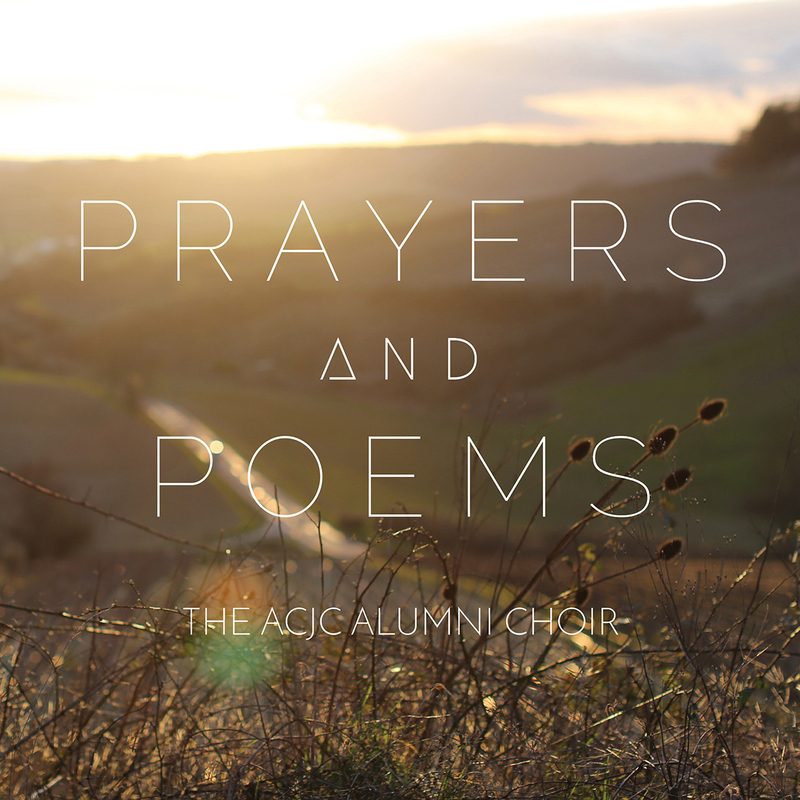 This was commissioned by the ACJC Choir to commemorate its 25th year of being in the Choral Excellence Programme. While well sung, it ends abruptly and contains few emotional or musical highlights. The ACJC Alumni Choir’s singing is a welcome treat for choral music enthusiasts. Their singing is fantastic. Despite all of the works having challenging a cappella settings, their intonation hardly ever falters. The voices sing with freedom and vibrancy, and consistently with a healthy, supported resonant tone. Valarie Wilson should be commended for her work in building such a pleasant sound. Suggestions for improvement can rarely be found. In Malagueña, for instance, the basses could sing with a brighter placement, and the tenors could unify their sound better in several places. The diction in some works is difficult to understand at times. Yet these are nit-picking suggestions in what is a well-produced recording. While the quality of the choral sound is consistently high, however, the caliber of the compositions themselves is inconsistent. Some works, such as Malagueña, Ne’ila, Adon Haselichot, and Tread Softly are unique and engaging, while many others pieces flit by with typical contemporary chordal harmonies punctuated by mildly acerbic dissonances. While the ACJC College Choir has made a name for itself both in Singapore and internationally, the Alumni Choir is still establishing its bona fides as a premier choral ensemble. 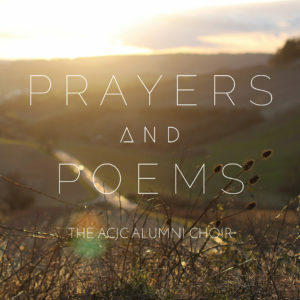 Prayers and Poems is an album that choral music listeners should become familiar with as an example of great choral sound, artistry, and commitment to the promotion of contemporary choral composers. Hopefully this will be the beginning of many excellent recordings by these terrific singers.